When FarSite Communications Ltd was started in February 1998 we invested in developing our own communications products, a market we knew well as all the company’s founders had a history of developing communications products. Over the years the portfolio of comms products has grown and has become the bedrock of the company. FarSite have consistently produced high quality communication products that have been exported to more than 100 countries around the world. With more than 25 experienced resellers FarSite’s products have been utilised in a huge range of industries and purchased by some of the world’s largest organisations. 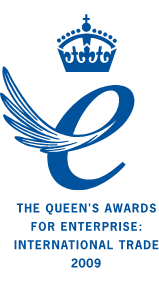 Winning the Queens Award for Enterprise in 2009 was an impressive landmark for the company. In 2008 FarSite opened its Chinese office which on all accounts has been a roaring success. It ensures FarSite have the edge over its competitors and can provide excellent technical support to a worldwide customer base. “In 2012 FarSite became interested in connecting devices wirelessly to the Internet when the idea of the Internet of Things was in its infancy. Many of the ideas about ‘IoT’ knocking around were fanciful and not based on quantifiable commercial benefits to the customer. We did however get very interested in monitoring waste bins as simply put it was very obvious current methods of waste collection either didn’t collect bins when they were full or were over collected, wasting a great deal of time and money in unnecessary collections. From that idea the netBin product range was born.